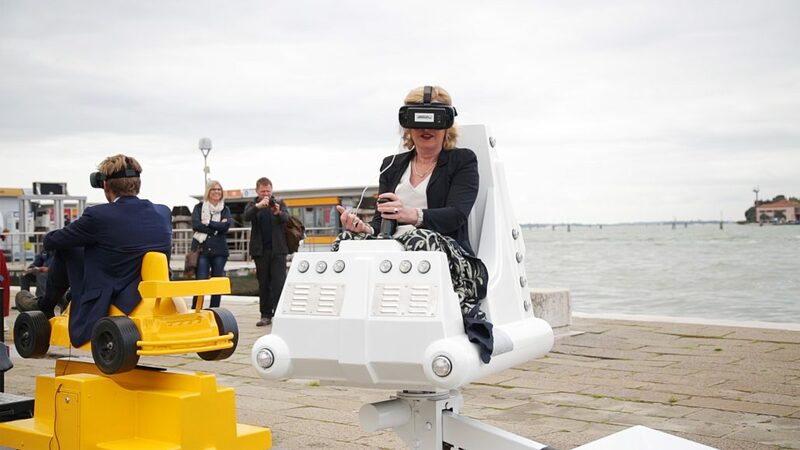 Outgoing Minister of Culture Jet Bussemaker was present in Venice on the 10th of May 2017 to open the ‘The Fair Grounds’ during the Venice Biennale. She hopped into one of the kiddy-rides, one of the former children rides refurbished into an art-installation designed in the colours of Mondriaan’s ‘De Stijl’. 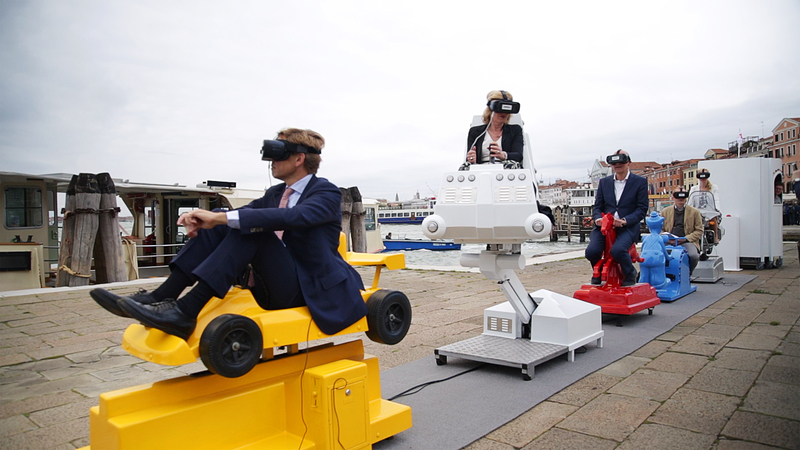 Using a VR-headset, she as well as other passerby’s in Venice can take a virtual ‘rollercoaster’-tour through either the canals of Venice or Amsterdam — in 360 degrees ánd full 3D video ! The art installation ‘The Fair Grounds’ tackles the issues of turning classic European inner cities like Amsterdam and Venice into touristic hotspots and the effect it has on the authenticity of those cities.